These days storytelling is very popular in copywriting. So much so, that it often happens except for interesting story, there is not much value to the text itself. The other extreme is that the text is informative but so technical it makes you yawn after few sentences. Emotional marketing anyone? Don’t get me wrong, there is nothing wrong with storytelling or technical texts, what matters is how they are written and for what audience. If your text is not emotionally engaging you will have difficulties connecting with your audience. You might end up writing a lot of interesting and informative material but without much effect. Also, if your copywriting team doesn’t know how to use emotional triggers, their texts will be as effective as shooting with blanks. What you want to achieve is a powerful marketing message that will engage your audience. That is how you build trust and in time a loyal customer base. Otherwise, you are doomed to fail. 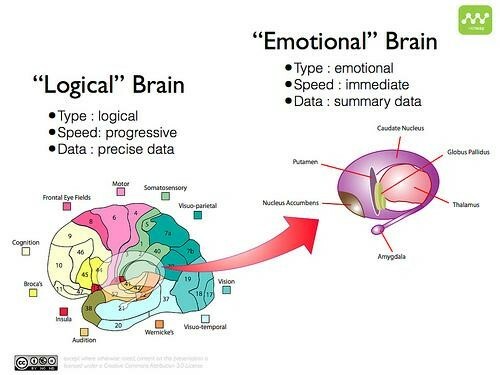 Let me show you in the text below how psychology works wonders for marketing in using emotions to craft effective emotional marketing strategy. Following the right steps in the online marketing world is extremely important if you want to build a successful business. But knowing what to do and how to do it is more important than just talking the talk. Today we will discuss walking the walk – the concept of emotional marketing. Analyzing the emotional intelligence of your target audience. Creating an emotional connection with your audience. Building trust so that they can accept your offer. You might wonder how to achieve all this? The easiest way to achieve effective emotional marketing is by crafting an emotionally fine-tuned marketing message. So even before making any kind of decision, your audience will go through the basic emotional triggers responsible for taking the call-to-actions placed on your website. We are all emotional beings, so even when we believe that we are making a logical decision, the truth is, our choice is probably based on emotions. You can’t tell your customers what to think or what’s best for them. What you can do though, is help them discover what feels right and what’s most beneficial for them. Even though we fear to admit sometimes, our customers base their final decision on self-interest. They feel that what they want is good for them. Why is that? When considering emotional marketing, changing the focus from a logical standpoint to emotional intelligence is of high importance. Customers are individuals with the same emotions as all people. So promoting an emotional experience and feelings is in a way more important than the product itself. Why Emotions Matter When Crafting An Effective Marketing Message? Many life choices are based on emotions. By stimulating the right ones, you can greatly influence your audience. Nothing else can evoke an as strong response as the right emotion, which, in effect, causes the specific action you were looking for. Providing a quality product or service for your audience will earn you lifelong customers. But to make such a quality product in the first place, you need to know the right emotions of your audience. People rely on emotions (the “Emotional Brain”), rather than information (the “Logical Brain”) when making a brand decision. Emotions are more influential on a person’s intent to buy than the content of an advertisement. So, bear in mind that emotions provide an effective marketing message which is extremely important when promoting your brand. 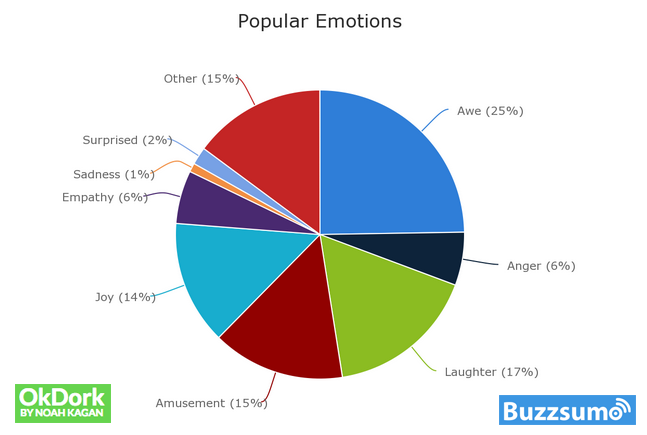 Which Emotions Are Crucial For Your Emotional Marketing Strategy? So, the OkDork guys analyzed the top 10.000 most shared articles across the web and mapped conveyed emotions. Their analysis concluded that there are few popular emotions that invoke a strong response. This research clearly shows which are the most influential emotions that could be integrated into the emotional marketing strategy for best results. The key takeaway of this research is that the awe-inspiring and positive emotions spurs your content with positive feedback. How To Meet Your Audience Where It’s Most Emotional? Match your sentiment and emotions map to the emotional state of your audience. Then slowly nudge them a step closer to your solution. But to do so, first, you need to know your customers’ desires/interest/passion and to meet them where they are most emotional. Only then you can make a strong emotional relationship between your product or service and your customers. With this emotional relationship, you need to convince them that this product/service is exactly what they were looking for. That will help you earn their trust and make them loyal to your brand. Of course, you need to be honest with your customers and never try to manipulate them! So, What is Actually This Emotional Stage We Are Mentioning? There are a few models that explain the emotional stages of people. And these models are really helpful in crafting an effective marketing message. Let’s say you have an old car. The car has let you down so many times you’ve lost count. But you decide to go on a holiday anyway. While on the road, your car suddenly stops! You can’t believe this is happening yet again! You are in shock. After the initial shock, you are getting frustrated, irritated, and angry. This anger is the outcome of your pain and frustration. So now you are trying to find some kind of a solution. You are looking for a towing service to take you to the first auto mechanic shop in the area. You were asking around just to find out there is no auto mechanic anywhere near. The nearest is 10 miles from you! So now you have a new problem because you have to spend some serious money from your holiday budget just to get to the mechanic shop. And you don’t know how much the repair will cost. Did I mention you did not prepare any extra money for emergencies? You feel like everything just fell apart. There won’t be enough money for your holiday and actually no holiday at all. You are depressed. In the end, you need to move on and just accept the situation you found yourself in. So, you decide to make the best out of your holiday with the small amount of money left after the car repair. You’ve been in difficult situations before and you know how to handle it. You are moving on. As you can see from this example, every stage is emotionally different and requires a specific approach. Knowing the emotional stages of your customers can help you create a powerful emotional marketing strategy and craft an effective marketing message. So by performing the correct emotional and sentiment analysis even before writing a single word of your sales message, you will ensure the correct audience response. You might feel a bit overwhelmed by all of this thinking how to do that? How to write the right message while thinking of all these correlations between costumers’ emotional stages and your service? There is a solution though. Just keep on reading. This is where emotions and sentiment analysis comes in handy. It will help fine-tune the sentiment and emotional response of your blog posts and social updates. This will give you an insight into your customer attitude about a certain marketing message. You already know that recognizing the emotions and sentiment stage of your customers brings you closer to crafting an effective marketing message and engaging your audience. There are many models that explain the emotions and sentiment stages. At this point you might ask, wouldn’t it be easier if there are some tools that can automatically measure emotions? Big players like “Google” and “Dr, Watson” have already built tools for emotions and sentiment analysis. They’ve done it because they recognized the need. There are other similar tools on the market. But how to choose the right one? You want emotions and sentiment tool that can really make a difference in your marketing and sales efforts. A tool that is fairly simple but credible. So, did you try Populizr yet? Populizr is a social media automation tool that has a built-in Smart Sentiment and Emotions Analyzer. By clicking on the corresponding filed for your title and meta description, our Analyzer will process the sentiment and emotions of your text. By doing so, you can get an insight into what emotions your text will evoke in your reader’s mind and fix them accordingly. This unique feature of Populizr can help you design an effective marketing message that will ensure the right emotional response from your readers even before they see it. Please, see the gif above. On the right side panel, you can check the sentiment and emotions impact of your content. 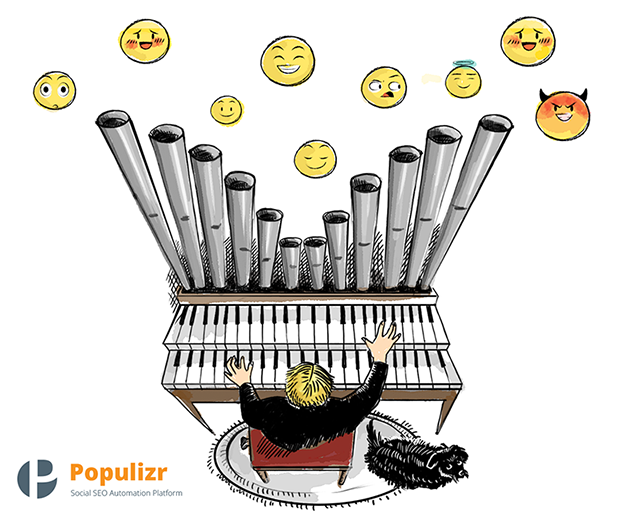 With Populizr, in a very easy way, you can fine-tune the sentiment and emotional response of your social updates. So you can make sure you trigger the right emotions even before publishing your social updates. This step is crucial in building a lifelong customer base. Populizr creates for you up to 25 unique variations of a single post, with a unique title, meta description, and images. This is very helpful in avoiding duplicate content. Now you can share different content made from the same blog post on all of your social media profiles. Populizr also has a built-in social analytics feature that can help you see which of the published posts receives most clicks. In addition, you can see which country or city your audience is coming from. This is extremely helpful for your social media marketing strategy because it can help you target the desired region in your paid ads. Install the WordPress plugin on your website. Select text excerpts from your blog post. Scrape the link of your blog post with Populizr platform. Publish your social media campaign with the selected excerpts. Another interesting feature that helps you revive and reuse an old social media campaign. All you have to do is to click a few clicks and with an old campaign engage a new audience. This is how Populizr helps you not just schedule your content, but also write it! Being able to see the emotional reaction your audience will have before the post is published is a game-changing feature worth exploring. But only when it converts. Obviously, not all content has the same value, no matter how well written it is. You may have a lot of content, even good quality material but if it doesn’t convert, it’s not visible in the social media world. It is like it doesn’t exist… This is not only frustrating for you, but for your copywriting team as well. Ultimately, it can be quite damaging for your business in the long run. This is why it’s crucial to recognize the importance of emotional marketing strategy. The knowledge about the emotional stages of your audience will enable you to craft a set of emotionally different massages that will meet your audience at the exact point of their emotional journey. Isn’t that just amazing? To be able to meet the needs of others and offer an answer they are looking for?! It’s a win-win for everybody. With emotions driven marketing you will engage your audience and as a result get new leads for your brand, boost your traffic, and in time build yourself a loyal customer base. 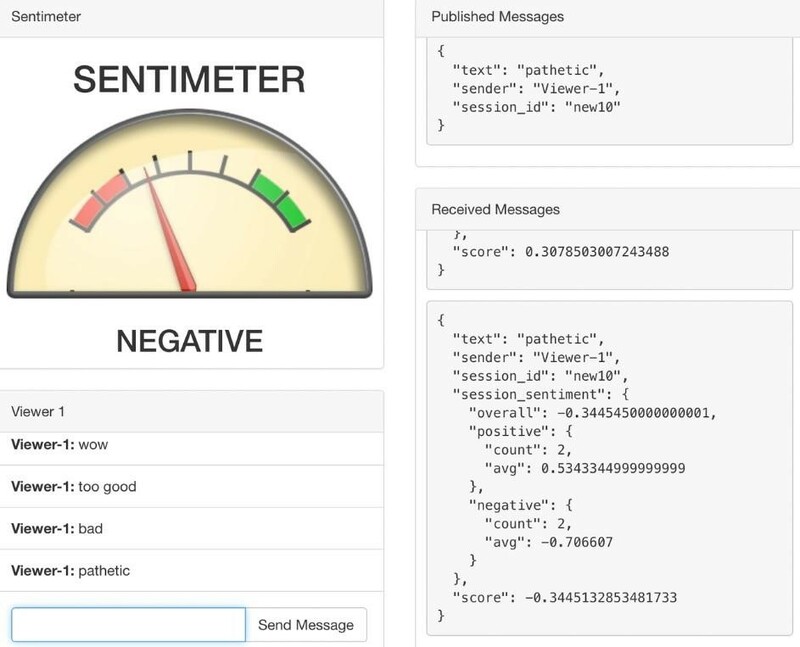 And now there is an easy way of how to write emotionally engaging marketing messages with Sentiment and Emotions Analyzer. This built-in feature Populizr has will make all the difference in your marketing strategy. All you need to do is to check the emotions your social posts will evoke and then write your text accordingly! So, go ahead and give Populizr For Marketers a try.